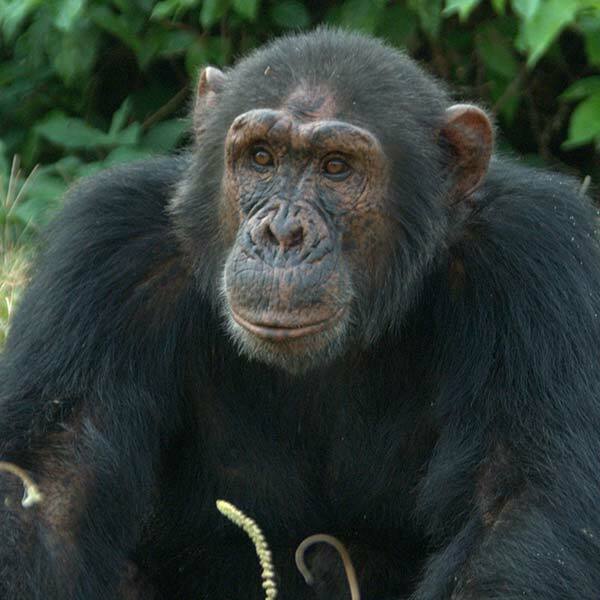 My name is Baluku and when I arrived at Ngamba in 1999, I had a pretty rough start. In 2001, Robbie was the alpha male and at first he seemed to accept me but then he brutally attacked me. If it weren’t for Connie and some of the other females I don’t know what would have happened! I had to be rushed to the hospital where I received 38 stitches and lost two fingers. Thanks to my loving friend, Cindy, today I am fully integrated with the group and a happy chimp.